Every once in awhile, I would have cravings for foods that I cannot find in Hong Kong, which would then make me start counting the days until I reach good ol’ Canada for the good ol’ cravings, usually burgers, tacos, tater tots…the all American junk fast foods. I am all for packaging and upgrading a product, supporting the economic principle of maximizing the price by going niche, but I DO NOT believe in a niche gourmet burger! I am just unable to hand over close to $300HKD ($40USD) and up for a so-called gourmet burger that uses Australian Angus beef and serve to you on a warm plate with a fork and a knife! I also do not want a seafood burger that put a fried tiger prawn or a braised piece of lobster meat on top of a beef patty to feel like I am consuming at a high-end gourmet restaurant that requires waiters to wear ties and patrons to dress at the minimum “business causal”. All I want is a good ol’ American burger that is for sale at every food court in North America where there is a certain thickness to the slap of beef that is greasy and juicy between two pieces of sesame buns oozing with fattening and disgusting mayonnaise, ketchup and various condiments. I want a burger that after eating half way, I would feel grossed out for dumping something so greasy in my system–a guilty pleasure, something to enjoy in track pants and a hoodie. 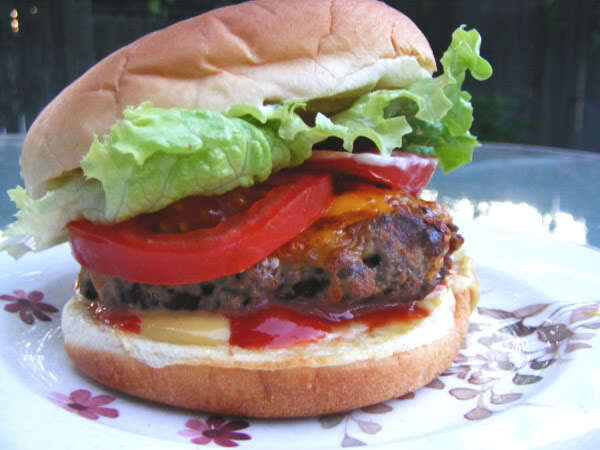 Burgers are full of calories and grease, they are not supposed to be “healthy”, so don’t give me the Japanese style of hamburger where the buns are actually rice patties and the slap of meat is a soy bean alternative, because that too, would drive me crazy! Oh, did I forget to mention that Burger King and Triple O’s have opened chains in Hong Kong? I know I am talking about burgers, but really, I am craving tacos.